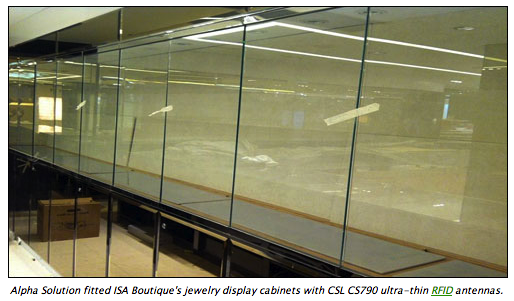 Jul 16, 2014—China’s ISA Boutique is installing a radio frequency identification system at one of its stores, after determining that the technology provided valuable data following an initial installation at another location. 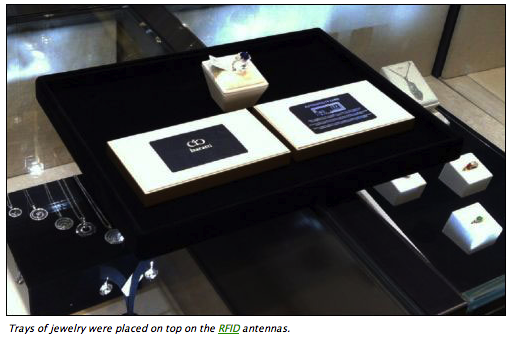 The RFID readers and antennas, supplied by Convergence Systems Ltd. (CSL), enables the store to track its fine jewelry and to know not only what is stocked within the cabinets, but also when a particular piece is removed from the cabinet and returned—and how often—thereby providing analytics regarding how well customers like each item. ISA Boutique operates seven stores in Hong Kong and two in Macau, where it sells clothing, leather goods, eyewear, jewelry and watches. 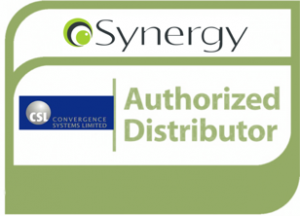 In 2012, the retailer began working with Alpha Solution Ltd., its point-of-sale (POS) software provider, to create an RFID-based system for inventory management, as well as for tracking shoppers’ behavior and the products they seem to prefer. Alpha Solution fitted each of the store’s jewelry display cabinets with a single 16-port CS468 RFID reader and a total of 16 CS790 ultra-thin RFID antennas—one for each of the reader‘s port. The antennas were situated on the cabinet’s shelving on which trays filled with jewelry are placed. 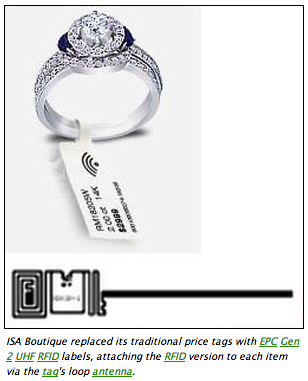 ISA Boutique replaced its traditional price tags with EPC Gen 2 ultrahigh-frequency (UHF)RFID labels, attaching the RFID version to each item via the tag‘s loop antenna. The system employs RFID tags provided by a variety of vendors, says Jerry Garrett CSL’s managing director, and the store has attached those tags to hundreds of jewelry items, including rings, pendants and earrings, as well as to eyewear. Each tag‘s unique ID number is linked to the specific item’s stock-keeping unit (SKU) in Alpha Solution’s Smart Shelve software, hosted on ISA Boutique’s server. It is then stored on a tray that is placed within a display cabinet during store hours. According to the company, the CS790 reader antenna is designed to provide a very tight read zone. If an item is lifted more than 12 inches above the antenna (the read rangecan be adjusted by raising or lowering the power setting) or moved 3 inches to the side, the shelf antenna will no longer detect its tag, and the reader data will thus indicate that the piece has been removed from the cabinet. The glass of the cabinet top also acts as a shield, so that if an item is placed on the glass counter above theantenna, its tag will not be read. This feature is especially important for ISA Boutique, as the retailer wants to know each time an item is moved from the shelf tray to be sampled by a customer, and also the exact time that it was returned to the tray. The antenna is 6 millimeters (0.2 inch) thick, and is available in a variety of lengths and widths. The store has also installed a CSL CS203 reader with an integrated antenna at the cash register, in order to record when a piece of jewelry is purchased. The item’s tag is interrogated during the sales transaction, thereby enabling the store to identify which merchandise needs to be reordered to replenish inventory. As each item’s tag ID is being captured by a cabinet’s reader, its location is noted in the Smart Shelve software, which can be configured to issue an alert to management—via text message or e-mail—in the event that an item is removed and the POS software does not indicate it as having been sold. In addition, the store is using a CS101 handheld reader to conduct nightly inventory checks in the backroom and other areas. 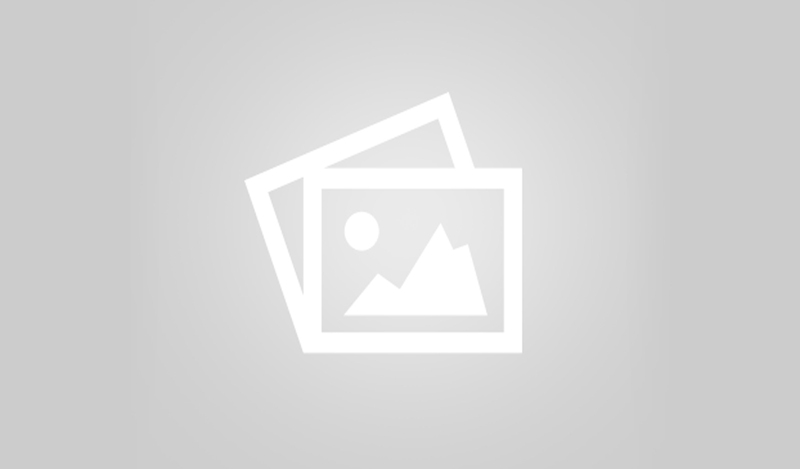 The store has gained other valuable information as well. 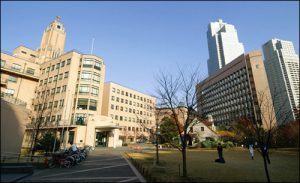 For example, if a piece of jewelry is often removed from the cabinet, but is only rarely purchased, management may decide the price is too high for most customers. If no one requests to see a piece of jewelry at all, it may be that it is not properly displayed, or there may be another issue making it undesirable to shoppers. ISA Boutique is installing the system at another of its Hong Kong stores this summer, and is also expanding the technology to include watches, handbags and clothing, by attaching EPCUHF tags to those items as well. The company plans to continue rolling out the solution with each new store renovation or acquisition. CSL is providing a similar solution to multiple jewelry merchants in Asia, Europe and the United States, Garrett notes, though he adds that those companies have asked that their names not be released.